Hey guys! Merrick from Merrick’s Art here. With school only a month away from starting again, I’m beginning to think about ways I can keep us organized. My son goes to kindergarten this year, and I know the amount of papers and half days and homework assignments and random things that need to be brought in each day during the school year. 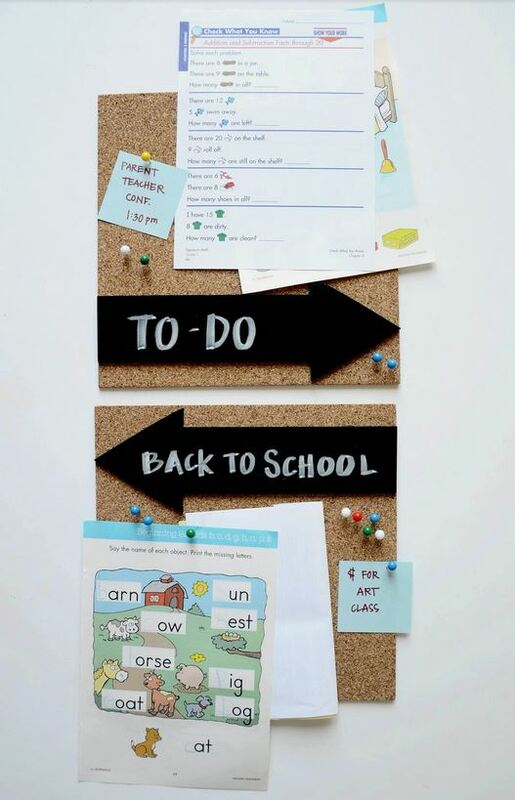 So I came up with this super quick and easy solution to keep things organized as you go back to school. Step 1. 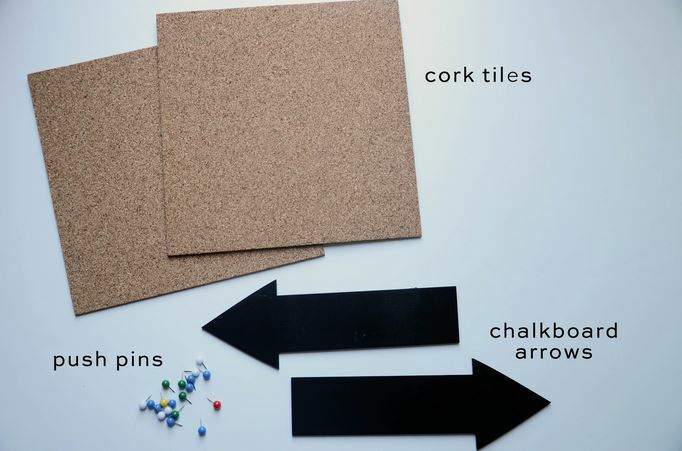 Use the hot glue to glue the arrows to the chalkboard in opposite directions. Step 2. 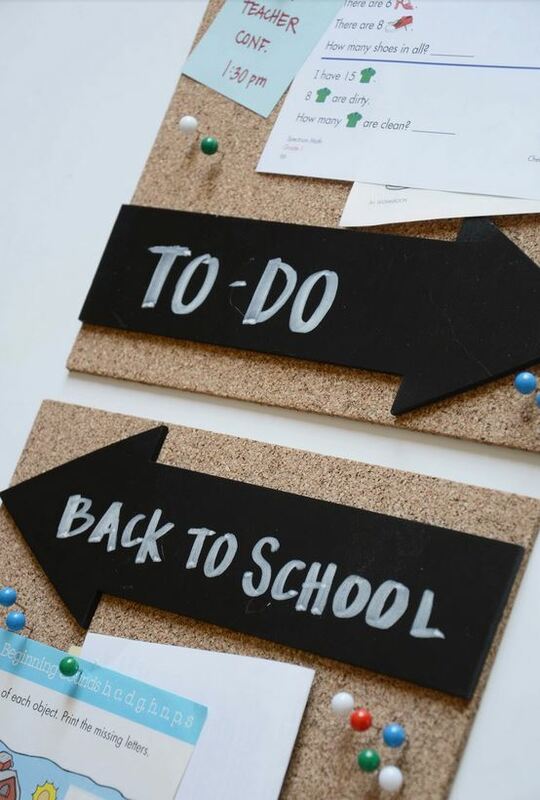 Use chalk or chalk markers to write on the chalkboard arrows. Step 3. 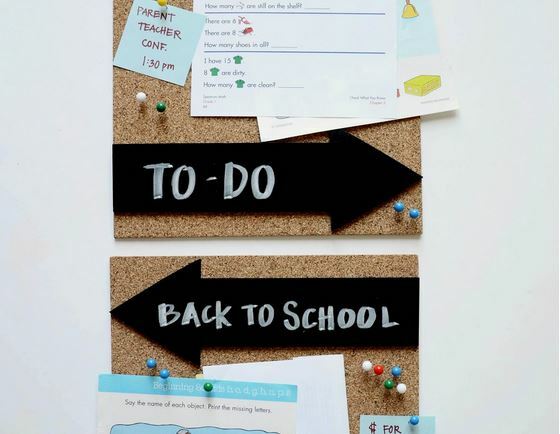 Add some pushpins and you’re ready to get organized! So easy and the perfect decoration/organizer to hang in your kitchen to keep the papers coming in and out organized!